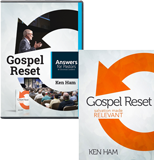 This course goes way beyond old-style Christian texts that teach math with a few Scriptures sprinkled in. This course truly transforms the way students see math! This course guides students through the core principles of algebra using a Biblical worldview, establishing how the consistencies we see in mathematical concepts proclaim the consistencies of a faithful God. 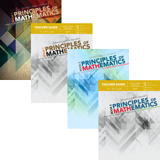 This Principles of Mathematics Book 2 (Teacher Guide) contains materials for use with the Principles of Mathematics Book 2. This student book is part of the Principles of Mathematics Biblical Worldview Curriculum. It takes math to a whole new level; one that students and parents love! 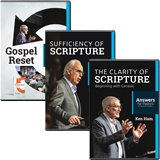 This course goes way beyond the old Christian texts that teach math with a few Scriptures sprinkled in and maybe some church-based word problems. This course truly transforms the way students see math! 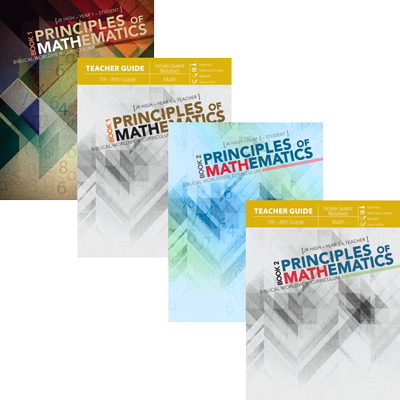 This Principles of Mathematics Book 1 (Teacher Guide) contains materials for use with the Principles of Mathematics Book 1.